by Isabella Gilbert of Rochester, N. Y. The device consists of a face-fitting spring carrying two tiny knobs which press into the cheeks. And no they ain’t all that great…. Not when you get people pullin at them and callin you cute! Least they get the attention from grannies! where do i buy this dimple machine from??? I love it,i have a slaller ! 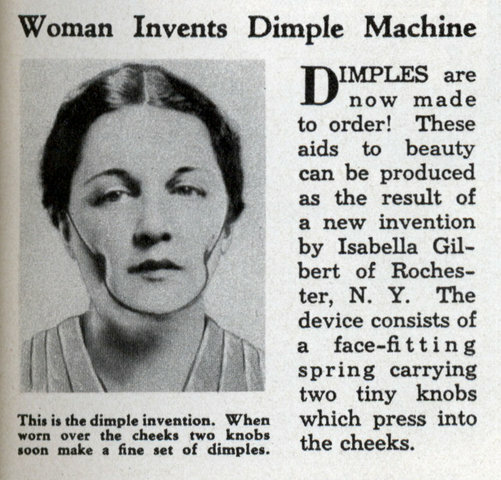 Cool, now you’ll have dimples — but you’ll look like a freak with that thing on your face! nyway, people with dimples naturally are cute!! Kindly let me know where i can buy , i mean the add. 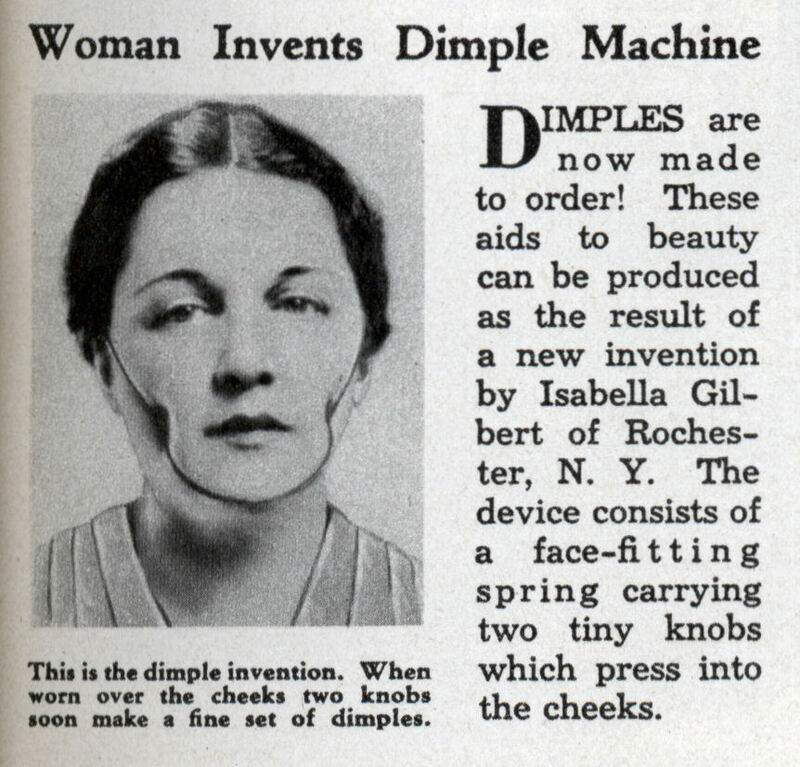 for buying the woman invent machine for cheeks dimples by Isabella Gilbert of Rochester NY. 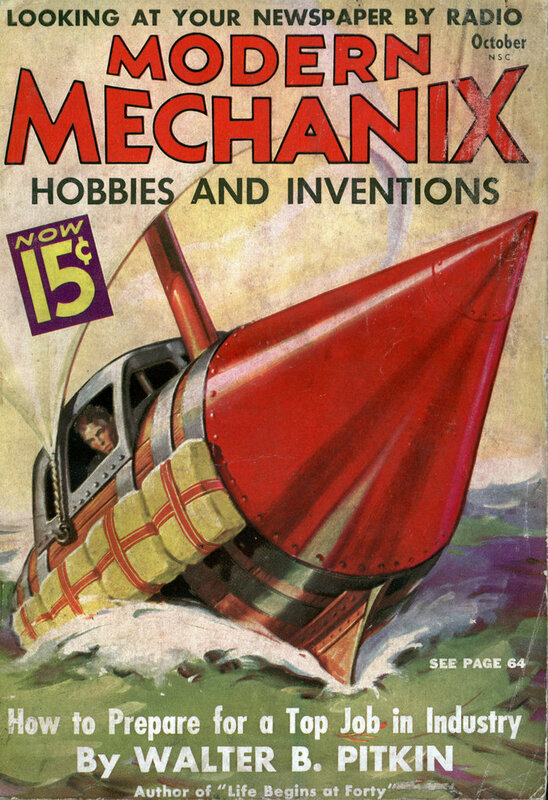 Crystal, the first thing that you need is a calendar since this article is from 1936. Pl let me know the address from where the dimple machine can be bought? Does it really work and how long does it take to get results? I am diabetic. Will it be any problem to use it. will it cause wounds, sores, etc? I already have dimples but that is a cool way to get dimples. but like that other person said that does look freaky with those wires wraped around your face. I’d say that it works temporarily, akin like a keyboard face, if one happens to fell asleep while using a computer…. Invented for fat people to look skinny but yet UGLY…!! !